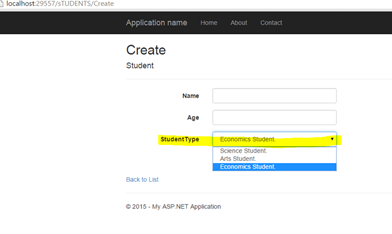 To start with let us consider that we have created an Enum TypeOfStudent as shown in the listing below. 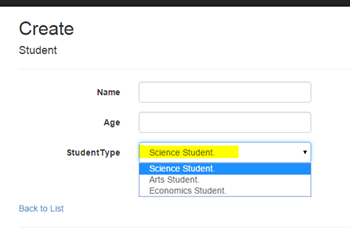 This Enum holds information about the type of a particular student. 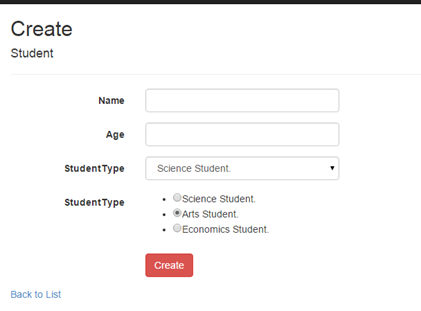 In the Model class select Student and create a Data context class (perhaps select an existing one) to add a controller. When we create View using the scaffolding, MVC 5.1 and later use HTML Helper class EnumDropDownListFor to create dropdown from the Enum. I have created a folder named Helper and inside that created a class EnumRadioButtonHelper. Inside the static class, we have created static method EnumRadioButton to render Enums in the RadioButtons. 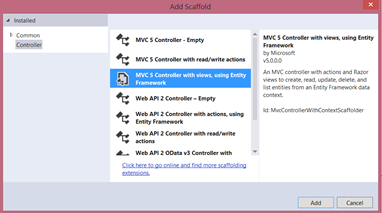 We learnt how to work with Enums in MVC 5.1 and later. 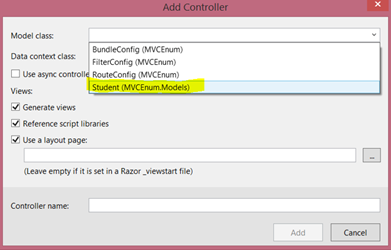 In MVC 5.1 EnumDropDownListFor has been introduced to render Enums in DropDown. We can also create HTML helper class to render Enums in RadioButtons. I hope you find this post useful. Thanks for reading.